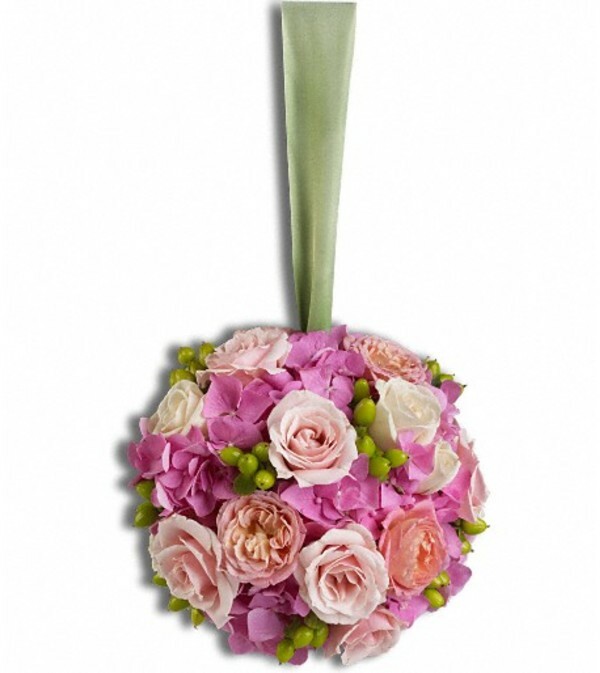 A beautiful ball of blooms! 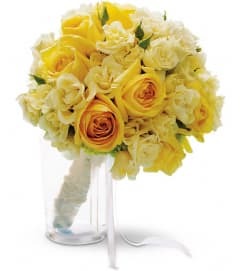 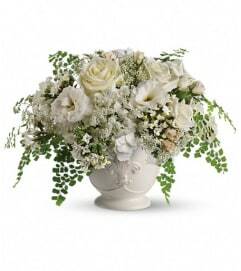 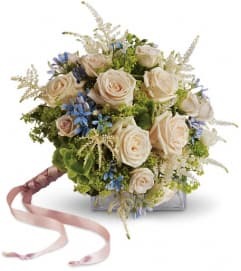 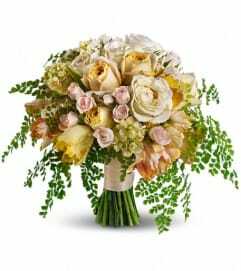 Soft pink and white hydrangea and roses mix playfully with green hypericum. A sphere of pink hydrangea with pink and white roses, plus green hypericum.